GKI Mabouya Valley U21 Tournament Kicks OFF! PRESS RELEASE: GK Insurance (EC) Limited continues to reaffirm its mantra “Because We Care” in a major way. For another consecutive year, the company has partnered with the Mabouya Valley Football League for the much anticipated GK Insurance Mabouya Valley U21 Football Tournament. The tournament is a major annual fixture in the highly spirited community, which draws hundreds of spectators from the valley and surrounding communities. 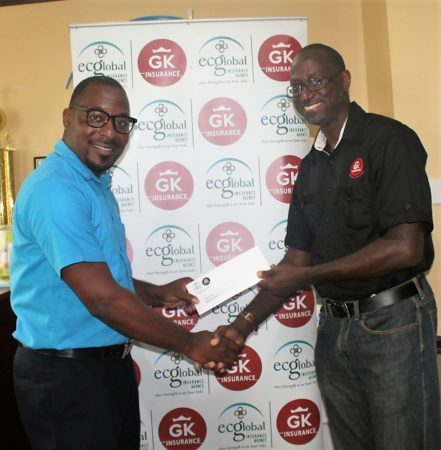 GK Insurance (EC) Limited and parent company GraceKennedy Ltd strongly believe in the philosophy of supporting youth development within communities and this tournament partnership is a clear indication of the continued commitment to the cause. GK Insurance Mabouya Valley U21 Football Tournament officially kicked off on Saturday August 18th 2018 and will run over the course of the next few weeks.